The Shotgun Squads were a brutally simple concept—or a simply brutal one; the difference came down to which end of the gun you were on. More than fifty years ago Dallas was under assault from hoards of vicious armed robbers with a penchant for violence. Police Lieutenant H. C. Holloway carried scars from a wild gun-battle with one of those criminals and a consuming hatred for them all. He devised a plan to hide shotgun armed officers inside likely targets with orders to shoot “hi-jackers” on sight. For more than two decades the unit he formed for that purpose made war on armed robbers with bloody and brutal effectiveness. 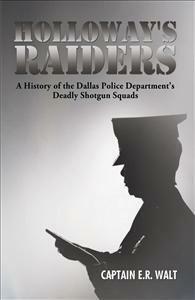 They were called “Holloway’s Raiders.” This is their story.